The media industry often faces varied challenges in multiple areas of work, in part due to the paucity of resources and dynamic solutions. It requires industry specific solutions and services to meet such intricacies and streamline the business processes. A boutique media consulting firm, Channel Media Solutions (CMS) is a pioneer in this realm that delivers proficient consulting services to help companies in the media sector leverage full potential of technologies. CMS focuses on strengthening business strategies between business units and aligning IT strategies with the business goals. 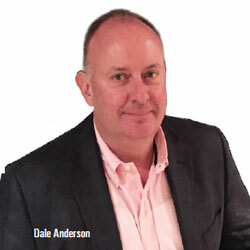 “We have demonstrated a history of creativity and sound business by developing and supporting enterprise software applications which are a gateway to effective media solutions,” says Dale Anderson, President, CMS. CMS helps enterprises with solutions which act as necessary factors for rationalizing business processes. The company formulates both IT and business strategies to manage a project from inception to the end with required efficacy. With proficient skills like project management, gap fit analysis, and vendor landscape evaluation, CMS consultants provide unwavering commitment in project accomplishment. The collaborative approach, digital experience, and deep domain expertise have enabled CMS to develop seamless and productive solutions which deliver agile methodologies for strength¬ening media processes of businesses. The flagship solutions of CMS, Ven¬dor Evaluation and Gap Analysis are config¬ured with great care to meet the various needs of any broadcast company. CMS has managed retailer assessment projects for its clients by providing resourceful ex¬ecutive consulting, project leadership and business analysis services. “The competence, expertise and responsiveness that we provide to our clients has set us apart, and we push the performance of any company by adding potential without compromising stability,” says Anderson. CMS complements its core services with full project lifecycle management and staffing solutions, which help clients on a multitude of production-related aspects. In project lifecycle management, CMS partners with their clients and initiates, manages and steers technical projects to completion.With experienced executive consultants, project managers, business analysts and other resources, CMS helps its clients generate a substantial ROI by recognizing means to better utilize existing tools.The staffing solutions of CMS identify the insights, pursue relentless dedication to quality work and ultimately build the productivity of its clients on a real-time platform. “We have an organic approach and the management team is proactively involved on a day-to-day basis process because we are involved in providing top technical and business solutions,” adds Anderson. Many companies have already recognized CMS as a cost-effective, powerful and trustworthy gateway to building the best ROI. One such company, a national leader in live local sports broadcasting approached CMS to assist with their invoice consolidation system. The company had issues in invoice generation, handling of credits and automation process. CMS initiated evaluation, identified the appropriate solution and finally played a vital role in insuring the success of the project by managing the invoice generation processes and automating the invoice and credit system. With the high business values and better resources on the focus, CMS stands unique and outperforms its competitors. The company has plans to open up platforms based on technology and business combined, like digital and convergence and try to leverage additional experts from some new areas. “Building long time partnerships and offering productive resources are also the key to our success,” concludes Anderson. A boutique media consulting firm that specializes in helping clients achieve maximum effectiveness with technology solutions.